Looking much more refined, the 2016 Honda Pilot looks like it costs more than it actually does. The Honda Pilot is a true Honda. 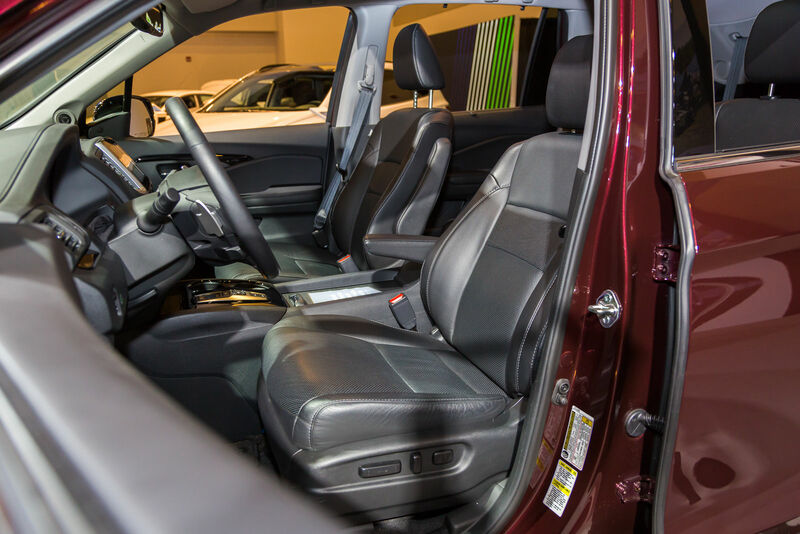 Completely redesigned this year, it now features a host of new technologies both from a connectivity and safety standpoint, as well as being more spacious and more comfortable, and better yet, even more fuel-efficient. In other words, the 2016 Honda Pilot is completely redesigned, and you can see it right now at the Ottawa Auto Show. 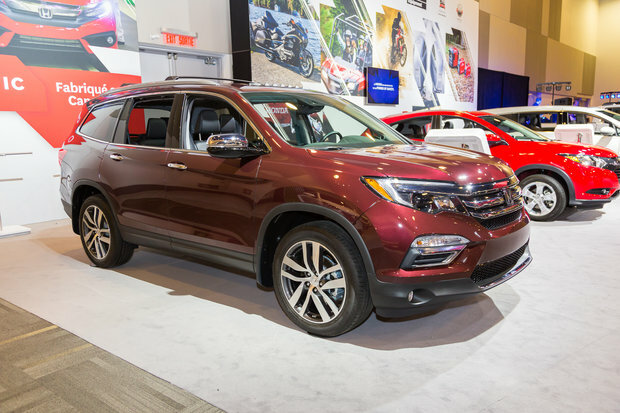 Visually, the 2016 Honda Pilot is now bigger and gives off a more imposing and luxurious appearance. Looking much more refined, the 2016 Honda Pilot looks like it costs more than it actually does. The sharp lines of the previous generation have been replaced by a sleeker, rounder design that is pure elegance. 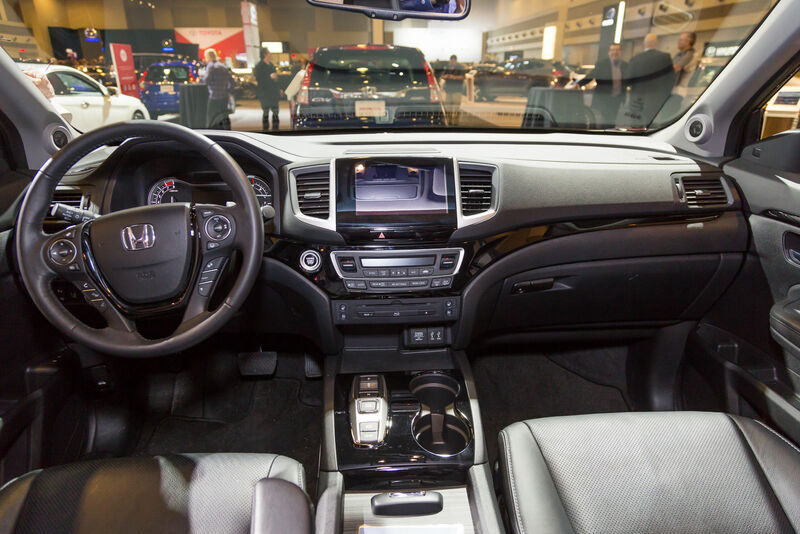 The interior has also been completely redesigned, and there is technology everywhere. 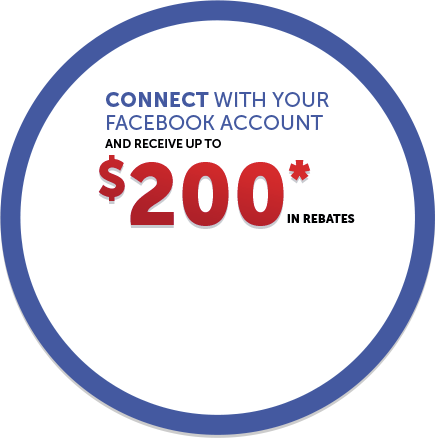 Also, it is impossible to criticize the Honda Pilot’s craftsmanship and interior design which, like the exterior, gives off the impression that you are a driving a high-end luxury mid-size SUV. In the Touring version, the nine-speed automatic transmission is controlled via buttons located between the seats. 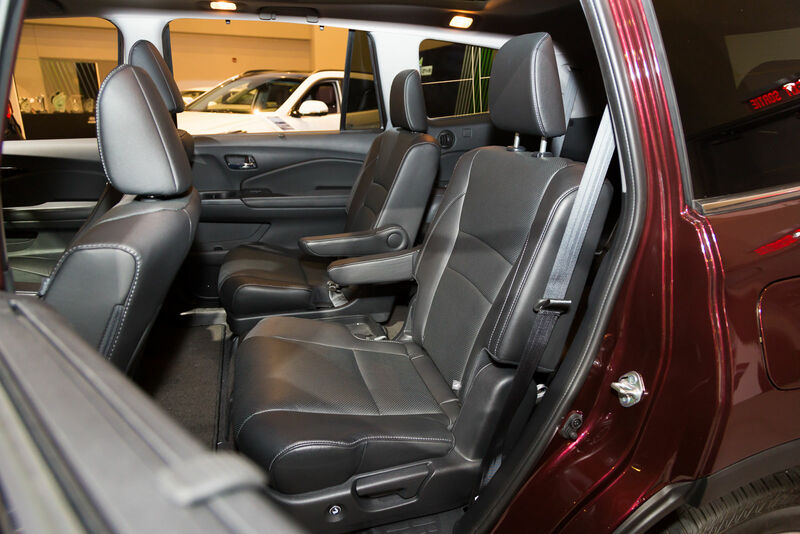 The layout is unique and reminds the driver that he or she is driving, well, a unique vehicle that offers tremendous value. There are also various driving modes to choose from that modify the various mechanical components in order to optimize performance in a variety of conditions. 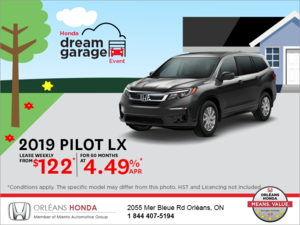 Powered by a 3.5-liter V6 engine, the 2016 Honda Pilot offers 280 horsepower and ample torque, giving you plenty of confidence to accelerate or overtake vehicles. 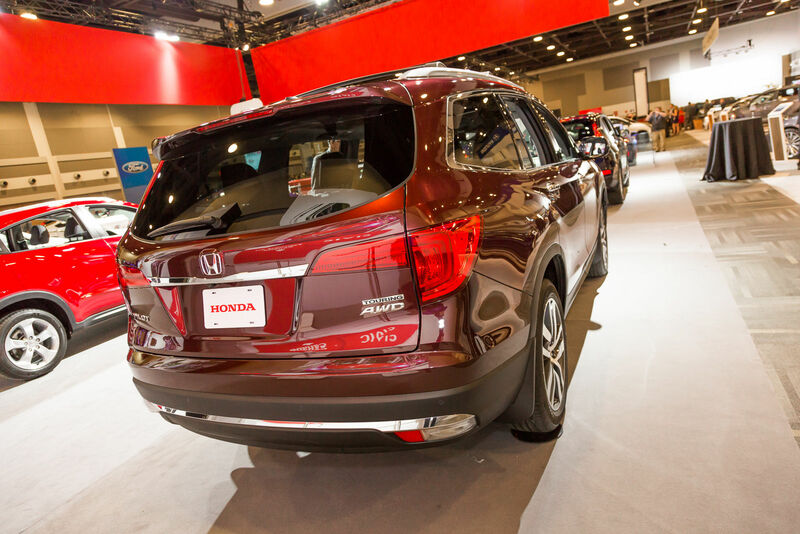 Honda engineers have also made sure they added plenty of safety features to the 2016 Honda Pilot which features Honda Sensing, a group of driver assist technologies such as lane departure warning, adaptive cruise control, cross traffic alert, automatic braking and a lot more. 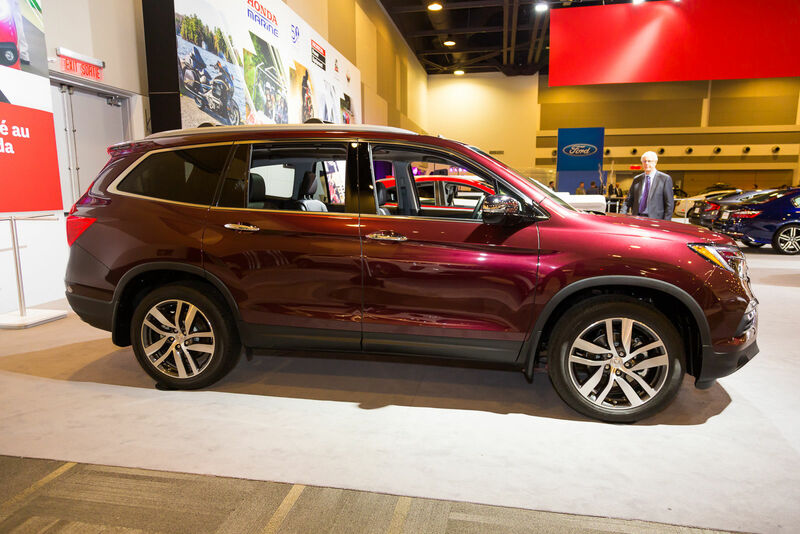 Come see the 2016 Honda Pilot today at the Ottawa Auto Show.